This weekend only, you and your family have the opportunity to skate along a 1.4-kilometre ice trail in Balsam Lake Provincial Park near Coboconk. 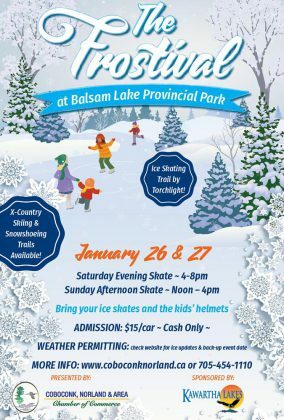 This new spin on Coboconk’s annual “The Frostival” event is hosted by the Coboconk, Norland & Area Chamber of Commerce, in partnership with Balsam Lake Provincial Park and Kawartha Lakes Tourism. 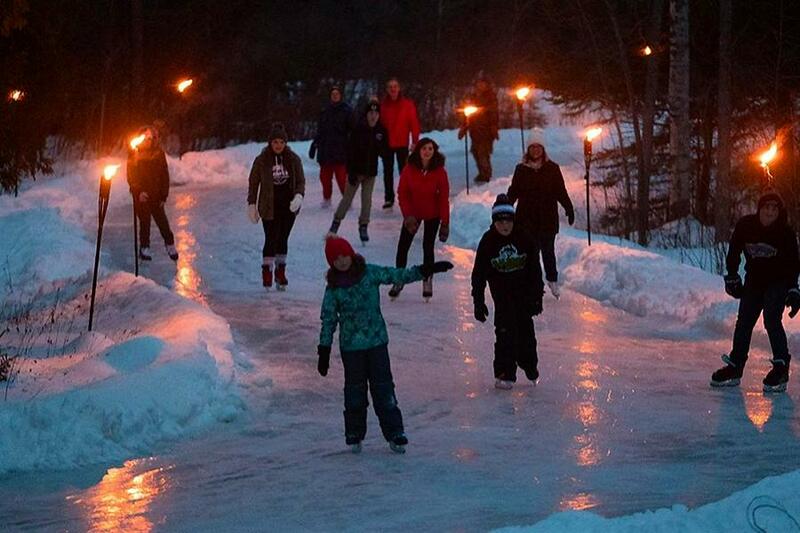 Similar to the popular outdoor skating trail at Arrowhead Provincial Park, The Frostival trail runs through the forested park, with staging areas and bonfires. The Frostival event is presented by the Coboconk, Norland & Area Chamber of Commerce in partnership with Balsam Lake Provincial Park and Kawartha Lakes Tourism. The event takes place from 4 to 8 p.m. on Saturday evening (January 26) — when the ice trail will be lined with lit torches — and again from noon to 4 p.m. on Sunday afternoon (January 27). Admission is $15 per car (cash only). Complimentary hot chocolate will be served throughout the event. 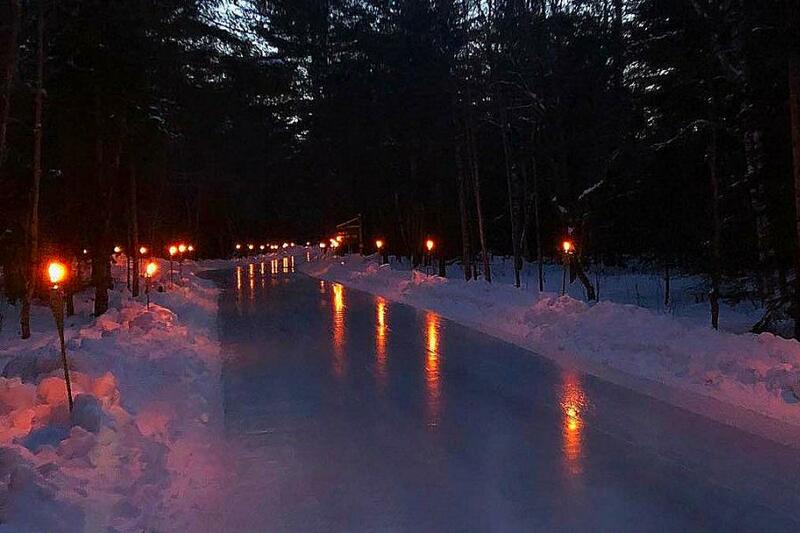 You will need to bring your own skates and helmets, as rentals will not be available. 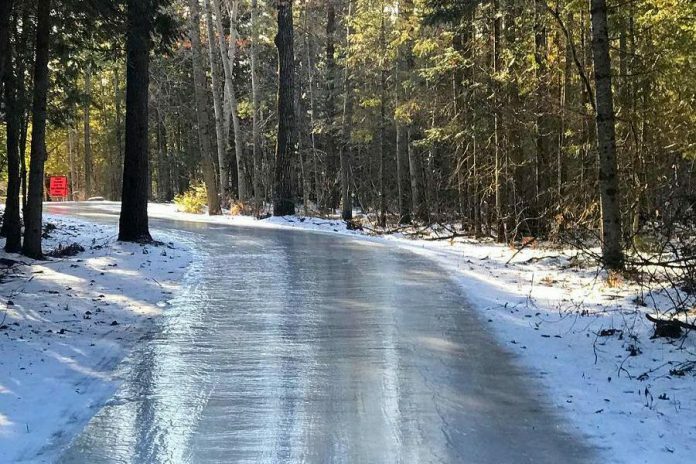 The ice trail will be open this weekend only. However, there are also cross-country ski and snowshoe trails in the park that are available all winter long. If you’re heading out on Saturday night, make sure to bundle up as the temperature will be dropping to -13°C. On Sunday afternoon, the temperature will be -8°C with a 60 per cent chance of flurries. Balsam Lake Provincial Park is located around 43 kilometres north of Lindsay.